The 88 Temple Pilgrimage Route is better marked in some sections than in others. On today's walk from Joruri-ji to Ishite-ji, I found the route generally well-marked. Some of the marks are inconspicuous, others more obvious. 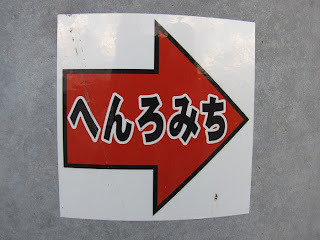 The marker above is often seen. 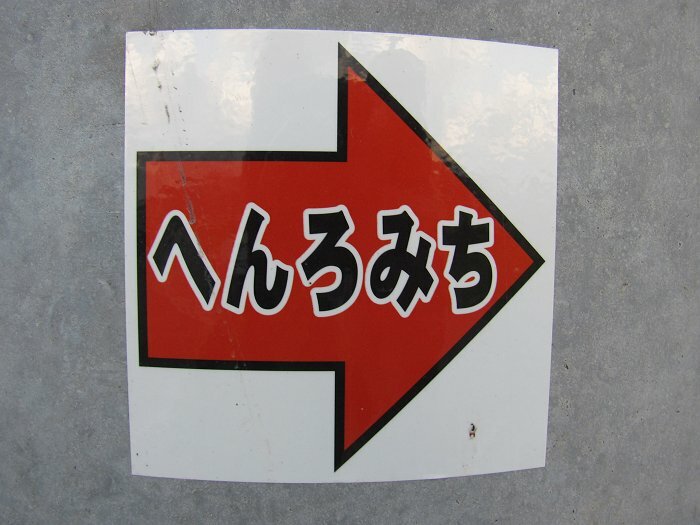 It reads henro michi ("pilgrim's path"). 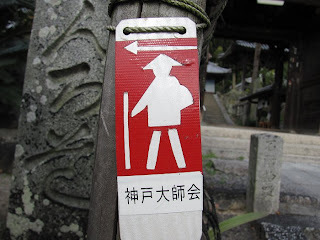 Here's another example of a route marker pointing the way to Temple #47 (Yasaka-ji). 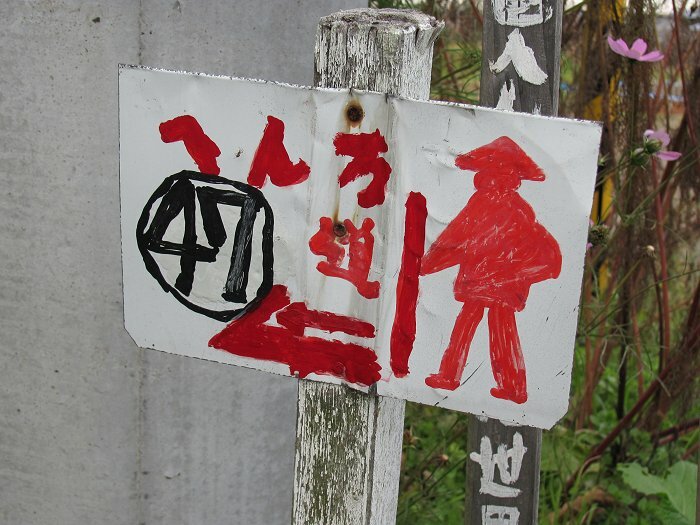 And here's a third style of marker seen near Temple #49 (Jodo-ji).